As the saying goes that good things come in small packages, these two students of Rupenbandar Primary School, Rupenbander village in Dwarka district of Gujarat are personification of the proverb. At first glance, one would never imagine the kind of energy and passion these two children carry in their hearts and the determination with which they pursue the cause they stand for. She translated the Hindi song to Gujarati for Jyoti to practice it regularly, thereby working on building her confidence. “My teacher told me that I had a very good voice and that I can become a very good singer,” says Jyoti who first performed this song in a Bal Mela (Children Fair) organised by CRY – Child Rights and You. Bal Mela, initiated by CRY and its partner in Gujarat, Gramya Vikas Trust (GVT) is an initiative where a group of children play, discuss and share their thoughts, problems, issues and skills together. “I practise every day for an hour in school and at home. I follow musical programmes on television and try to learn from them too,” she says further adding that her friends praise her singing skills and that adds to her confidence. “My friends tell me hearing me sing makes them feel good. They are also proud of the fact that I am their friend. They are inspired by my songs and want to be like me,” says Jyoti who has a 13-year-old brother and comes from a family of modest means, her father being a fisherman with an annual income of Rs 28,000. Jyoti regularly sings in community programmes, school and children group events like Bal Mela and on special occasions like Independence Day. “I want to finish my education and become a good singer when I grow up,” she says. Her partner in crime is the 11-year-old Sherbano Kasambhai Aamda who has been advocating the need for both boys and girls to finish education through her public speaking. 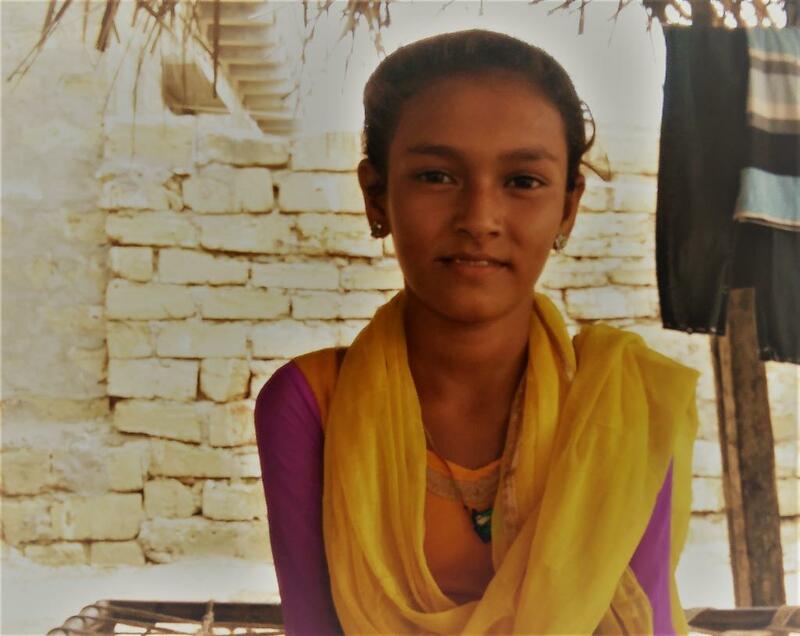 Sherbano, also a student of Class 7 of Rupenbandar Primary school, has five siblings (three sisters and two brothers) and comes from a poor family (her father is a labourer whose annual income is around Rs 20,000.) Despite the poverty, Sherbano is determined to educate not only herself but also others and this is the message that she is spreading through her speeches in public places like community gatherings and school event. It was during a school enrolment drive that Sherbano’s skills came to the fore. The school was keen on admitting more girls and roped in Sherbano for the drill. Sherbano’s teacher was well aware of her public speaking skills and presented her with a speech on why education is important for girls and helped her in practising it well. When Sherbano delivered the speech, it was so well received by the community members that they asked her to repeat it several times. Soon Sherbano was creating awareness in the communities in the surrounding villages, too, where she got a standing ovation from the children who heard her speak. Since then, Sherbano has been reciting the speech and spreading awareness in her community on education. Interestingly, Sherbano practises her speech with expressions, sound voice and confident body language by downloading speech technique videos from internet. She claims following them has made her more confident and smart. Sherbano claims her teacher is her main inspiration as she helped her practise it well. “My friends say that I have the courage for public speaking. They feel very good when they see me speaking on stage. They often tell me that I should become a leader! They always cheer and support me,” says Sherbano who continues that she wants to become a scientist like Dr APJ Abdul Kalam after watching the Hindi film ‘I Am Kalaam’ at the Bal Mela event. In a country where the freedom of expression is extremely curtailed for most girls, these two are definitely using their talents to change the story. This Independence Day, while Jyoti and Sherbano take centre stage to inspire more girls to take the lead, here’s hoping their team will grow into an army soon!